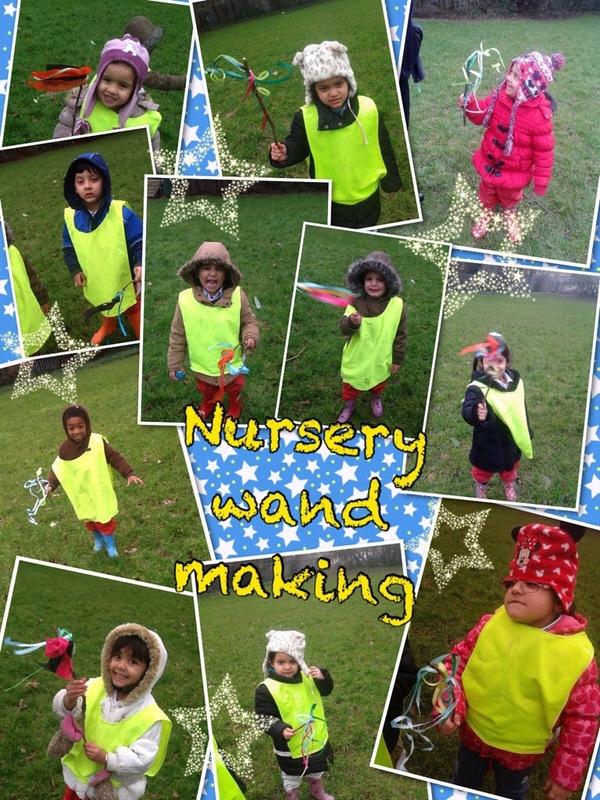 Today key stage 1 made there own stick people inspired by the story ‘stick man’. 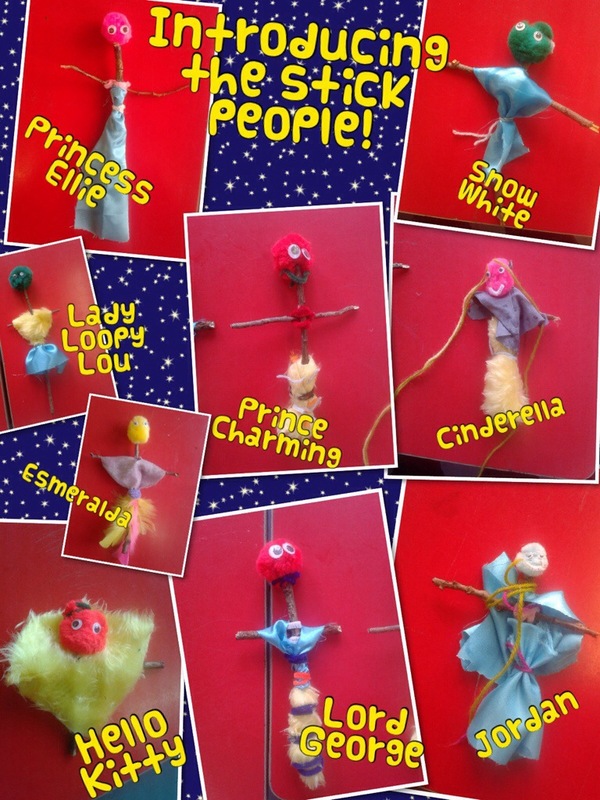 They made up a story for their stick people, where all the stick people went to Prince Charming’s disco birthday party, at a magical castle, where they danced, talked and ate yummy party food. While a magical magician did magic tricks, juggled flaming hoops, and told funny jokes. 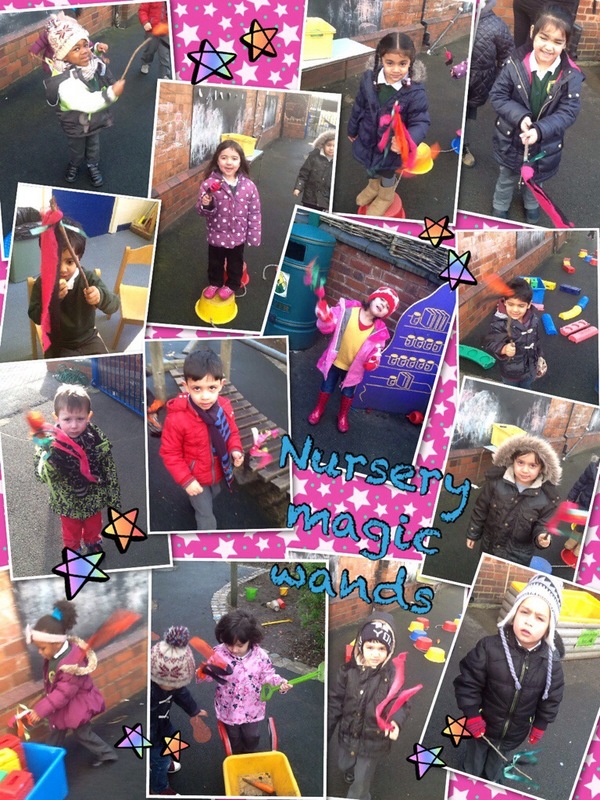 This week nursery made their own magic wands, using sticks they found in the forest, they then used these wands to practice magic spells.